The Chartered Institute of Personnel and Development (CIPD) is a professional body for HR and people development. 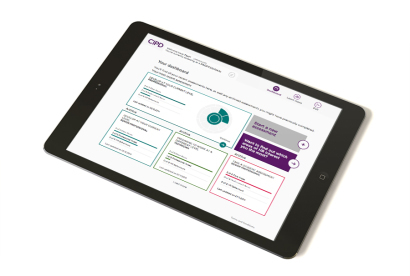 In partnership with Willis Towers Watson, Landscape re-designed the user experience, structure and functional capabilities of CIPD’s HR Map. The biggest challenge we faced was to present the complex content in beautiful simplicity both visually and from a user interface perspective. This was ultimately achieved through a simple architecture, clear layout, use of colour coding and intuitive navigation. The tool needed to be easy to use and incorporate a multitude of complex back end functionalities including secure middleware to communicate with internal systems, custom CMS features and bespoke analytics.